listen to the nurses. Respect the nurses. Do whatever the nurses say. You may think you know more than the nurses. You do not. That sounds nice, but we can’t imagine how the show itself could have followed that rule any less, in this episode or the hundreds that preceded it, virtually all of which reinforce a stereotype of nurses as low-skilled physician lackeys. This speech was funny not because of a lack of awareness on the part of the surgeon character, the usual type of dramatic irony. Instead, the issue here is that the show creators themselves don’t seem to realize how breathtakingly absurd it is to have one of their surgeon characters deliver these lines with apparent sincerity when the show itself constantly disrespects nurses. Creator Shonda Rhimes is responsible for Grey’s Anatomy. The show is about surgeons, obviously, but scene after scene tells viewers that surgeons do everything in the hospital, which is false. We see surgeons receive emergent patients alone, do codes alone, pull patients out of wrecked vehicles, push patients around in wheelchairs, and provide psychosocial care to family members. Plus surgery. The show has always been very concerned with the professional advancement of women and minorities—as surgeons. Nurse characters who do appear on Grey’s do not generally even get names, much less any significant role in care. They are lackeys who absorb commands for drugs or tests, get things, hold things, and stand by marveling at surgical awesomeness or surgical acting out—either way, it’s the surgeons who matter. The nurses may respond to surgeon commands with a “yes, doctor!” or a “right away,” which evidently never get old as dramatic reaffirmations of the power of the surgeon characters. And then the nurse characters tend to disappear. Nurse characters virtually never meet what we might call the nurse-physician version of the Bechdel test. That is a standard that has been used to measure whether women have robust dramatic roles—do they ever speak to each other about anything but a man? Here, that standard might be adapted as whether nurse characters ever speak to each other about anything except a physician. Some shows, such as ABC’s 2014 show Black Box, do have occasional nurse-nurse interactions, but they fail that test because the interactions are all about physicians. On Grey’s, though, the nurses never speak to each other at all. The episode that aired on October 2, 2014 (season 11 episode 2) focuses on surgeon Maggie Pierce, the brilliant sister of brilliant lead character Meredith Grey. Pierce is the hospital’s “new head of cardio.” In one scene, a patient is coding and there seem to be a couple nurses nearby. Pierce rushes into the room, asking how long the patient has been down. A nameless nurse responds: “Less than a minute. She bradied and then she went into asystole. We started CPR.” That’s a pretty amazing amount of technical health knowledge for a nurse to display on this show. Plus, the nurses “started CPR”! But then Pierce takes over and the nurses stand back so she can do compressions. There is no suggestion that the nurses are tired and need relief; it’s evident that they are just stopgaps till the real expert arrives. When Pierce gets a V-fib rhythm, she defibrillates—again, she is the real expert—with the nurses barely assisting, mostly standing by passively. The patient survives. And Pierce absorbs all the praise from the patient’s tearfully grateful daughter at the bedside, as if Pierce alone did it! All right, I have three rules. One, listen to the nurses. Respect the nurses. Do whatever the nurses say. You may think you know more than the nurses. You do not. Two, your life is now all about me. Not about you, or your boyfriend, your fight with your sister, or your nasty little rash down there. When we are focused on me, we are learning to be surgical gods. When we are focused on you, we’re working at a gas station. Three, no complaining. You complain, and you are out. Got it? Yeah, we got it. The unwittingly comical swagger in this speech is standard for the show (as if any real health professional, even a nurse, would utter the words “Do whatever the nurses say.”). But what’s notable is that there is no indication the show is making fun of the Edwards character or what she is saying about nurses. 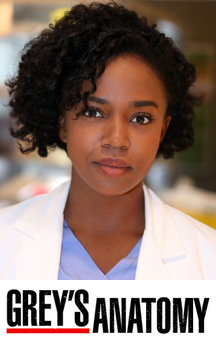 There is no signal that the producers have any awareness of how her words might relate to the show as a whole or the 242 episodes that aired over the preceding decade–virtually none of which show any physician character respecting or listening to the nurses in the clinical setting, or give viewers any reason to think the nurses know much more about health care than a lay person, much less budding “surgical gods.” As we have said since the first episode aired in 2005, nurses have been peripheral, silent servants, when they appear at all. Only surgeons talk to the patients, family, friends. Only surgeons save lives. And from the beginning, the show has been far more notable for its insults to nurses, who represent the backwards oppression of women that the show’s female physicians, like Edwards, have always worked so hard to distance themselves from. Grey’s really has tried, from the beginning, to present images of smart, tough women (and people of color and LGBT persons) succeeding in a modern professional context. And the female characters certainly do talk to each other about something besides men: the show has often dramatized the conflict between their personal relationships, on the one hand, and their desire to be “surgical gods” at pretty much any cost, on the other hand. So in this sense, the show is a perfect example of the media’s blind spot—which extends across the spectra from popular to obscure, from progressive to conservative—for the real roles of nurses. But we’ll keep trying to change that. Please join us in that effort. Note: We will post a link to a Grey’s Anatomy letter-writing campaign with more recent analyses when we get them up. Please join the Coalition for Better Understanding of Nursing and ask your school, organization and/or hospital to join as well. More support will help us keep current with these campaigns so we can have a stronger impact transforming nursing in the media. Thank you!